Free shipping. Buy direct from HP. See customer reviews and comparisons for the HP EliteDisplay S14 14-inch Portable Display. Upgrades and savings on select products. Maximize your productivity and lighten your load with a Full HD display that weighs 1 kg and is less than 9 mm thick, so you can tuck it into your carrying case alongside your device without weighing you down. Set up quickly with just one USB-C™ cable  that transfers video and pulls power from your notebook or tablet - no power cable required. Control brightness, contrast, and response time, and activate HP Low Blue Light mode to filter blue light emission and shift colors to a warmer spectrum for more comfortable viewing, all from the intuitive OSD. With the HP EliteDisplay S14 portable monitor, you can bring a high-quality display anywhere, easily. This is a portable model of our HP EliteDisplay monitors. It features the same great image quality as the desktop versions, but it’s made to take on-the-go. Laptops allow you to take your computer anywhere. But some laptops may have limitations when it comes to the display. The presence of a keyboard can make it difficult to position a laptop, so if you have to give a presentation on your computer, you might not be able to make the screen visible to everyone. 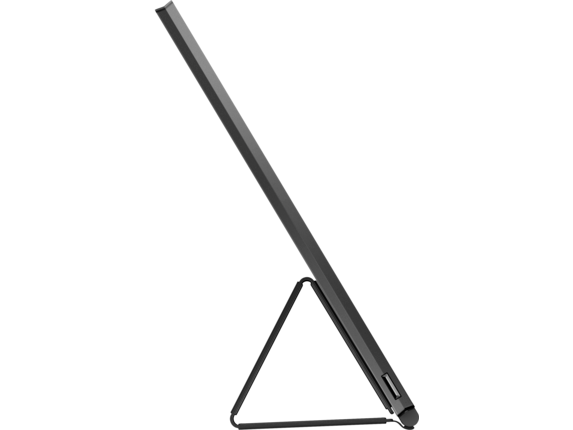 The HP EliteDisplay S14 is built with a triangle-stand design so that it’s easy to position in a conference room. Gamers rejoice! This portable display makes it easier than ever to get set up at gaming tournaments or LAN parties. If you play PC games on a tower desktop, you might find that transporting all of your computer components is a difficult task. 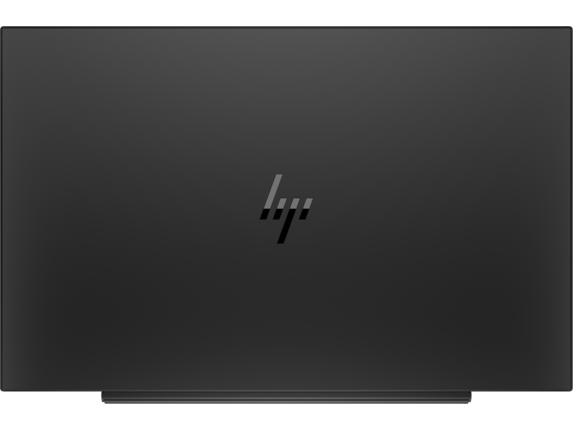 But the HP EliteDisplay is one of the most portable computer monitors for tower desktops. The display weighs less than a pound and is only 9 mm thick. You won’t find another monitor that’s as easy to pack and carry. The monitor enables you to play anywhere; at your friend’s house, at the coffee shop, in your hotel room, you name it. 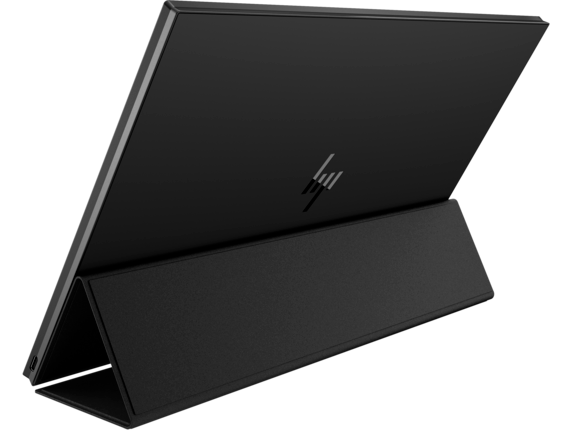 If you like streaming movies and TV shows on your computer, you’ll love being able to position the HP S14 portable display on your lap, bed, or anywhere else you like to binge watch. Since it doesn’t have a laptop attachment, it won’t take up as much space as a standard laptop. It’s also perfect for a road trip or camping trip. Entertain the kids by using the display to play their favorite movies while you’re driving. At the campground, just hook up the display to your laptop and you’ll be able to play DVDs or music. You don’t need a power cord, so you can truly take the display anywhere you want to enjoy high definition entertainment. Although it’s thin, it’s far from feeble. 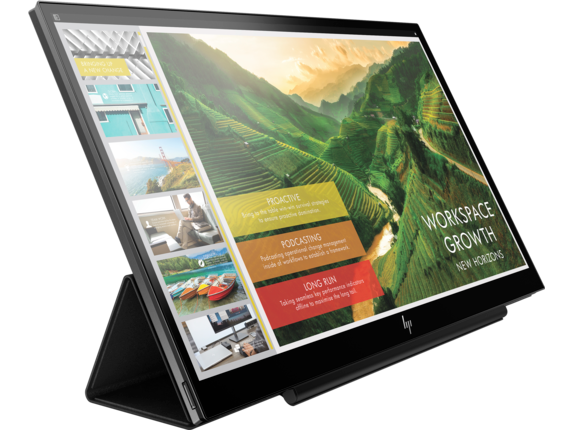 The HP EliteDisplay S14 has a colorful and dynamic display. It boasts a Full High Definition (FHD) resolution of 1920 x 1080 so you’ll always be immersed in its detailed images. Amazingly, the contrast ratio is 700:1. This represents the monitor’s range between its darkest color and its whitest color. A wide contrast ratio is desirable because our eyes see lots of contrast in real life. The most real and lifelike images have a high contrast ratio. 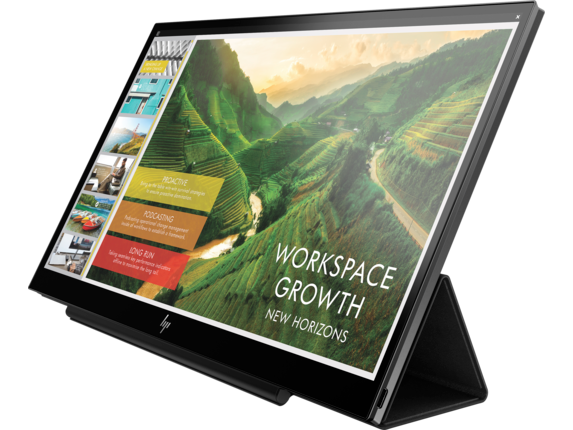 The HP EliteDisplay S14 has a wide contrast ratio, especially for a 14-inch monitor. The monitor’s rapid refresh rate is another huge plus. Refresh rate refers to how often the monitor is able to update the display with new information it’s receiving from your computer’s processors. In other words, it refers to how fast or slow the monitor is. Even at its small size, the HP EliteDisplay S14 has a refresh rate of 60 Hz, which is impressive. With a solid resolution, good contrast ratio, and fast refresh rate, you’d probably guess that the display requires an ample power source to run. But it doesn’t. Actually, the monitor doesn’t require any power cords. Set up is as easy as USB-C™. Just connect the monitor to any of your devices via USB-C and you’re done. You won’t need long cables or power cords to hook up the display. There won’t be any tangled cords. 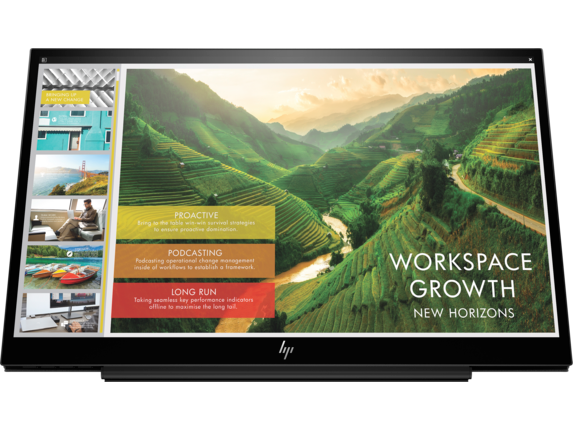 The HP EliteDisplay S14 has built-in features that make it perfectly viewable, whether you’re using it in low-light environments or bright ones. If you’re working outdoors in the light of day, the screen’s anti-glare build will keep the sun from obscuring your work. If you’re working at night or in a low-light area like a coffee shop or dark conference room, the LED backlight will illuminate the screen. On the HP EliteDisplay S14 14-inch portable display, you can adjust the settings however you like. Control brightness and contrast to find the perfect color combination for whatever’s being displayed on your screen. If your eyes prefer a display with warmer colors, you can activate HP Low Blue Light, which filters blue light emission. If you’re gaming, the HP EliteDisplay enables you to adjust the response time of the monitor so that the monitor and your graphics processing unit (GPU) are synchronized. You’ll never have to deal with stuttering if your GPU has a frame rate that’s faster than your monitor’s refresh rate.